Great Britain’s swimmers enjoyed another golden day at the European Masters Swimming Championships in Slovenia. A total of 26 podium places were achieved on day three of the competition, nine of them gold, taking the British medal tally at the event so far to 65. Spencer Swim Team members Muriel Hitchcock and Diane Ford led the way in the 80-84 and 75-70 age groups respectively. Hitchcock was 3.48 seconds ahead of Hungary’s Ilona Andrasne Kaszonyi as she clocked 5:08.98 to take the title. Ford left the rest of the field in her wake as she cruised to the top of the podium in 3:54.07. She was an impressive 25.30 seconds ahead of the silver medallist, Poland’s Krystyna Fecica, who finished in 4:19.37. Amanda Heath, also from Spencer Swim Team, claimed second spot in the 60-64 age group. She recorded 3:18.14 and was 3.24 seconds behind Belgium’s Colette Crabbe. Helen Jenkins, of Southport SC, was also a silver medallist in the 70-74 age group. Her time of 3:52.00 was 2.49 seconds off Germany’s Annerose Trobisch, who took the gold in 3:49.51. 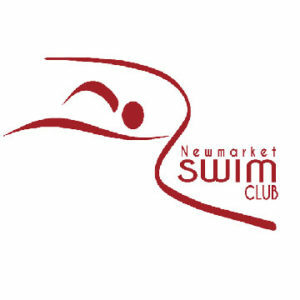 Lucy Ryan’s brilliant swim in the 45-49 age group was only good enough for a silver medal. The Team Anglia SC member was 1.98 seconds behind at the halfway stage and 1.67 adrift with 50m to go. Her time of 2:59.14 was 0.19 off Italy’s Sabina Vitaloni, who finished in 2:58.95. 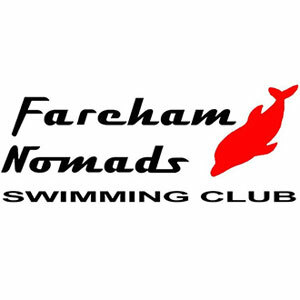 Hannah Ueckermann, of Witham Dolphins, was the bronze medallist in the 55-59 age group in a time of 3:14.85. Nicholas Hunt was Britain’s only medal winner in the Men’s 200m Breaststroke races. His time of 3:12.84 in the 60-64 age group was 20.67 seconds behind Russia’s Timur Podmarev, who won gold in 2:52.17. 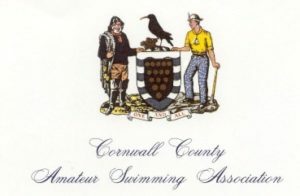 Kings Cormorant swimmer Jane Asher was 7.24 seconds clear as she won gold in the 85-59 age group in 41.13. Kathleen Tunnicliffe was also a gold medallist in the 65-69 age group. The Black Country n Potteries swimmer finished in 34.41 to take the top spot, 1.22 seconds in front of Hungary’s Sandor Lajosne Gombkoto (35.53). There was a British one-two in the 45-49 years race. Jane Grant, of Dundee City Aquatics, took the gold medal in 28.97, only 0.22 seconds ahead of Free Style’s Susan Fraser who clocked 29.19. And there were also two Brits on the podium in the 55-59 age group. Dawn Coleman, of Arbroath St Thomas, set a new European record with her time of 29.37. Debbie Matless, of East Anglian Swallow Tails, was the bronze medal winner after touching home in 30.80. Lindsey Gowland was an agonising 0.09 seconds off a gold medal in the 60-64 age group. The Black Country n Potteries swimmer clocked 31.66 to finish just behind Holland’s Atie Pijtak-Radersma (31.57). Gowland was 1.93 seconds in front of fellow Brit Barbara Boxall, of Romford Town SC, who took the bronze medal in 33.59. GB Police’s Aimee Ramm won a silver in the 35-39 age group, finishing in 28.11, while Alison Gwynn, of Mid Sussex Marlins, was third in the 70-74 years race in 35.44. 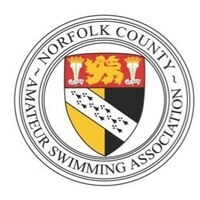 Woking Swimming Club’s Alexander Smith had a narrow 0.05 victory over Romania’s Alexandru Coci in the 25-29 age group. Smith touched home in 23.37 to take the gold medal, with Coci finishing agonisingly short in 23.42. Colin Stephenson, of Gloucester Masters SC, was a silver medallist in the 60-64 age group. His time of 27.66 was 0.07 seconds behind Israel’s Igor Kravkov (27.59). And there were two bronze medal winners in the 55-59 and 30-34 age groups. Alec Johnson, of Trafford Metro Borough SC, recorded 26.80 to take third in the 55-59 race, while Spencer Swim Team’s Jason Lawson finished in 24.17 to claim third spot in his event. Kathleen Tunnicliffe won her second gold medal of the day as she triumphed i the 65-69 age group. She touched home first in 1:30.77, 4.41 seconds in front of Israel’s Rona Joffe (1:35.18). Spencer Swim Team’s Isaac Grace claimed a silver medal in the 85-89 age group as she finished in 2:40.84 – 6.20 behind Spain’s Elisabeth Lobsiger (2:34.64). Jennifer Budden was also second in the 25-29 age group as she clocked 1:10.17. The Broomfield Park SC swimmer was 1.12 seconds adrift of gold medallist Agnieszka Bartnikowska, from Poland, who clocked 1:09.05. And Jenny Ball, of Camp Hill Edwardians SC, was third in the 80-84 age group in a time of 2:09.30. Spencer Swim Team claimed the gold medal in the 320-359 age group. Grace Isaac (1:13.22), Muriel Hitchcock (57.03), Tony Sherrington (44.61) and Geoff Stokes (38.01) clocked a combined 3:32.87 which was an impressive 32.43 seconds ahead of the silver medallists from Russia.